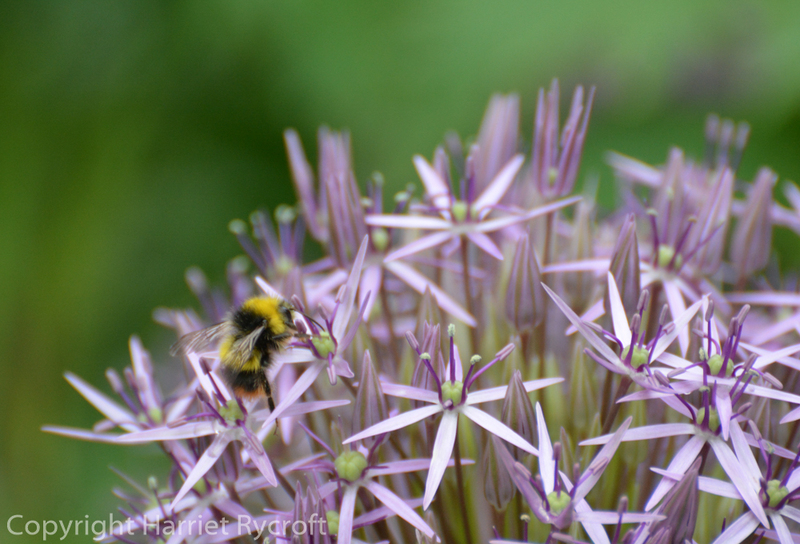 I have too many alliums in my garden. Their leaves make fine highways for slugs and snails and hamper every herbaceous perennial which tries to accompany them. A Twitter friend referred to them scornfully as “purple balls” recently, but I love the purple balls in my garden and can’t bring myself to thin them out. 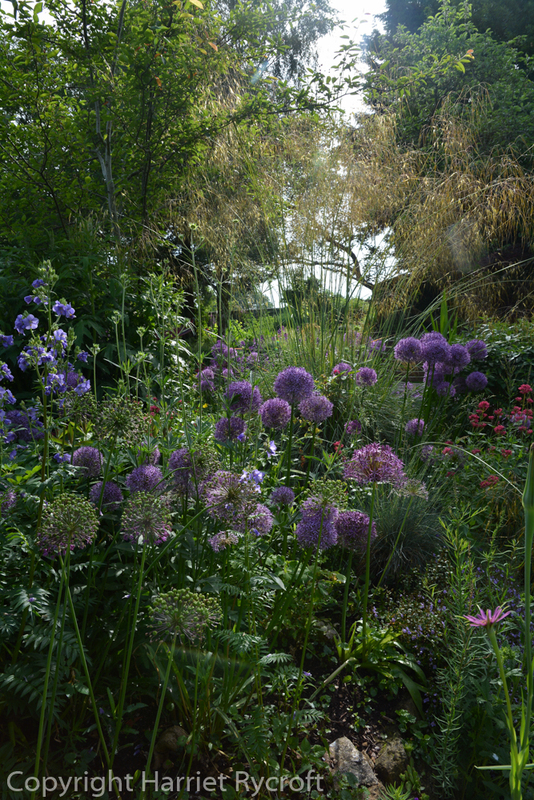 The paler one in the right-hand centre of this picture, taken a few weeks ago, is Allium cristophii, still dome-shaped as it unfolds in the raised bed in our garden. Eventually it forms a perfect sphere of metallic purple stars. 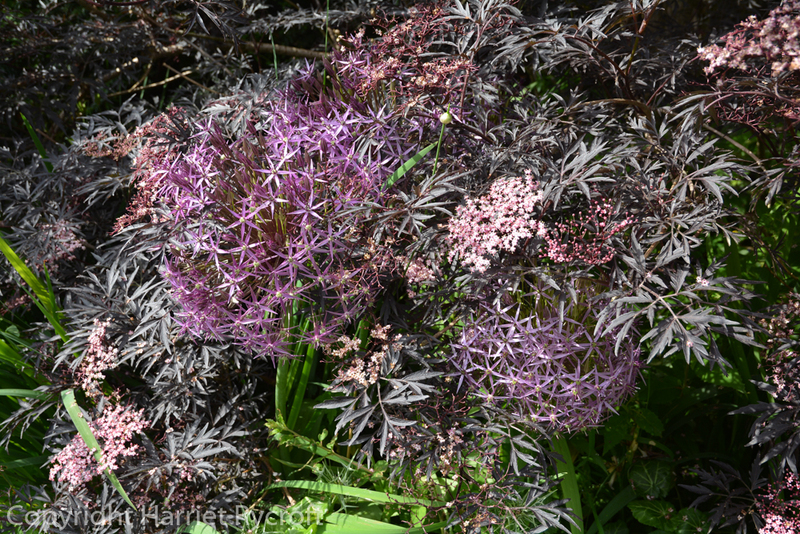 It comes out later than the Allium hollandicum ‘Purple Sensation’ and Allium ‘Globemaster’ in the same bed and is still glittering in the garden as I write. Bees are still bouncing around mine but soon it will consist of straw-coloured skeletal seedheads and its purple pomp will be over. Next year there will be more.